Home > General > How did the Omega Speedmaster get on the moon? Did you know that the first time an Omega watch was tested in space, it wasn’t NASA’s official choice (yet! ), but was brought by astronaut Walter Schirra, who bought it for his own use? It happened when the Mercury mission took off in October 1962 - and the watch did its’ job so well, it’s was used as a back-up timekeeper. During the last Mercury mission, astronaut Gordon Copper wore both a manual Omega watch and a new, electronic Bulova watch, to compare how both watches behave in space - and Omega clearly won, as it has been used during the landing sequence. The tests themselves were quite a challenge - in fact, they were so challenging, that Wittnauer’s crystal warped and released from the case and Rolex stopped twice during testing. So what exactly did the Omega Speedmaster go through? First, extreme temperatures, pressure and humidity, then 90 minutes of decompression, 30 minutes of intense vibration and 130-decibel acoustic exposure. Then, the watches underwent several 40G shocks in six different directions. Puts freaking out after accidentally dropping your watch in a different perspective! The Omega Speedmaster Professional was chosen as the official space programme watch by NASA in 1965. It was worn by astronaut Edward White during the first space walk - he had two Omegas, one set to Houston time. Thanks to its’ endurance, NASA decided to go with the Omega Speedmaster once again, during the Apollo programme. 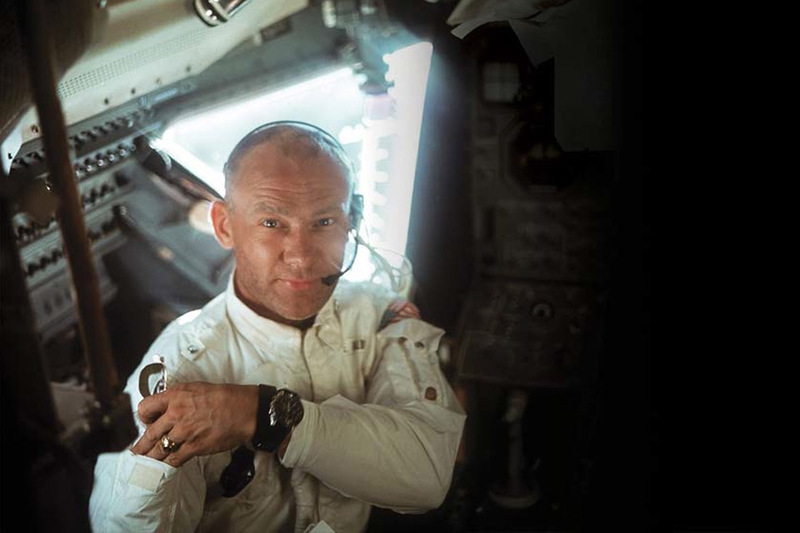 There is a popular misconception that it was Neil Armstrong who had his Omega Speedmaster on during the Moon walk, but it was actually Buzz Aldrin, as Neil Armstrong left his watch in the lander, since the on-deck watch was not working correctly. The fact that the Omega Speedmaster Professional passed NASA’s exhausting tests was always a point of pride for Omega - and the classic watch was re-released as an updated version in 2012.